our recent trip to the magothy river was not as well received by our sweet, little cat as the last. 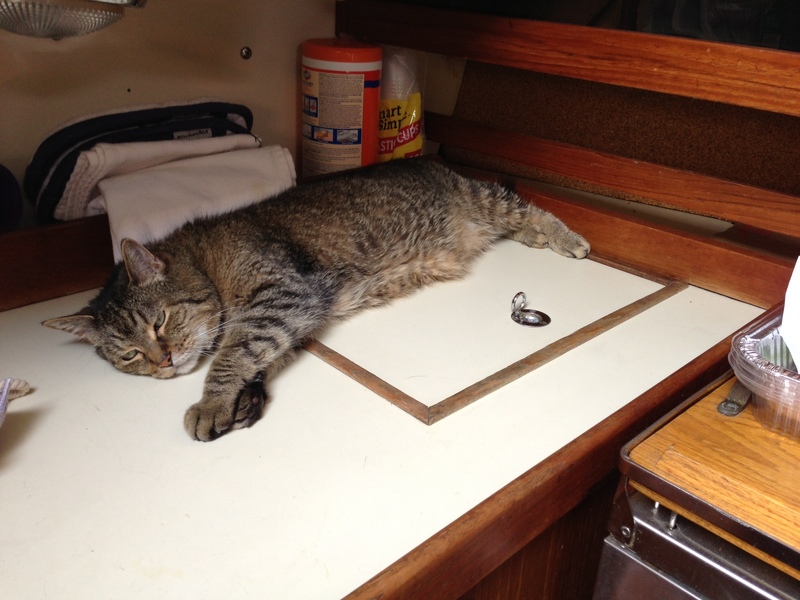 the smoke detector scared his striped socks off, the sound of the anchor dropping and raising made him skeptical of the v-berth, and it was so dang hot, he literally slept on the fridge. my poor baboo, too hot to socialize. so now i’m hyper paranoid that my sleeping beauty isn’t cut out for the cruising life. i haven’t given up, but i don’t wanna torture the poor animal… sigh. Cats are resilient ;) no worries! i sure hope you are right, zachandclem!